Grannie has always taken exceptional care of herself. She never smokes, rarely drinks alcohol, eats healthy, gets plenty of rest and exercise and drinks eight glasses of water a day. So when her doctor announces she has stage IV colon cancer and six months to live, she can’t believe her ears. Seventy is too young to die. There are too many things she still wants to experience. Hell – she hasn’t even prepared her buck list yet! And she is determined not to die before watching her granddaughter, Jordan, walk down the aisle. Grannie even has the perfect groom picked out. Only her granddaughter and the lucky guy don’t know it yet. But they will…soon. And while she’s at it, Grannie might just shoot cupid’s arrow in the direction of her grandson, Jared. Not to mention their cousin Tyler…because who knew match-matching could be so much fun! 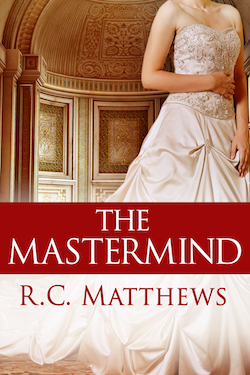 The Mastermind is a short story prequel to the Wish Come True series and explores the meddling ways of Grannie. Copyright © 2019. R.C. Matthews. All Rights Reserved.